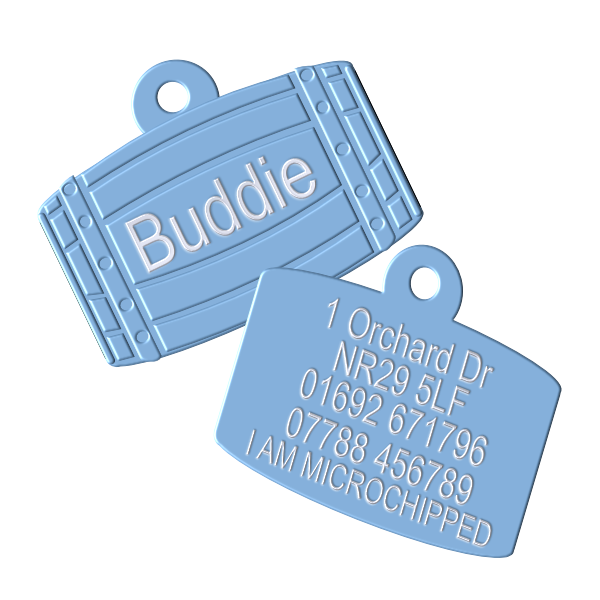 These Light Blue Barrel Dog id Tags are part of our Premium range of coloured aluminium dog tags. making these tags extremely hard wearing and lightweight. We will engrave a Name on the front of the dog tag and up to 5 lines on the back of the tag.